888 Poker™ Review 2019 - EXCLUSIVE €£$1000 + $10 FREE Bonus! Visit 888Poker Get Your $1000 + $88 Bonus! 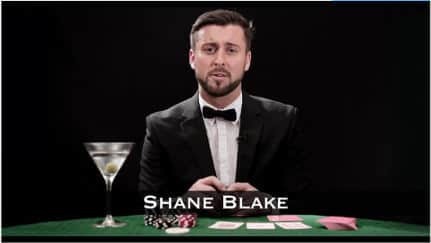 Video Review: Find out what makes 888Poker one of our most recommended sites! 888 is one of our top-rated poker sites. They are fully licensed and regulated. Regulated by: the United Kingdom Gambling Commission The Commission's Objectives are: "Promoting fair competition for licensed EU operators and consumer choice in a regulated European online gaming and betting market." Fast, Reliable Withdrawals in just 1 day - most payments are made instantaneously. ? 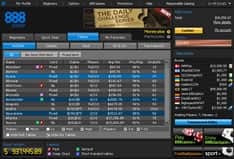 All legitimate, real-money poker sites like 888 Poker have strict anti-fraud screens, and that may create a short withdrawal delay. With over ten million players from every corner of the world, 888Poker is never short of action. 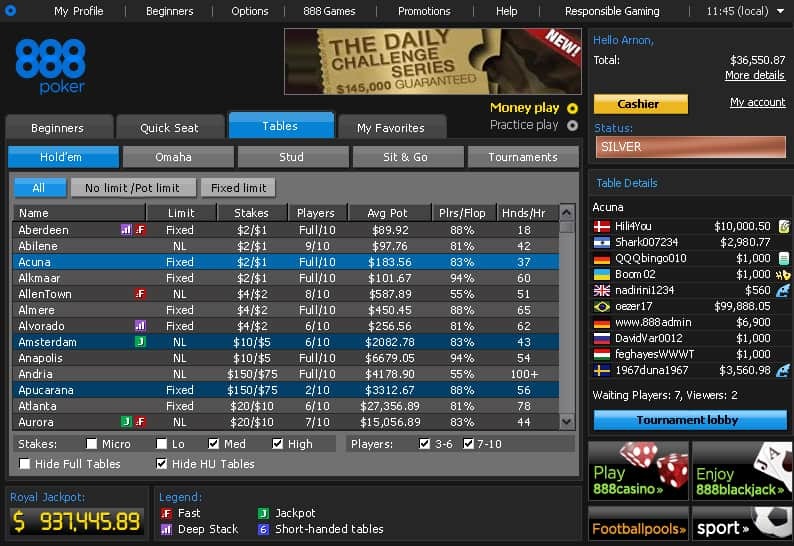 Following a complete overhaul of the software, 888Poker offers one of the best online poker experiences in its field. Driving the industry forward to new heights, 888 Poker has introduced webcam games, where players can opt in/out of visual play. Add this to its rapid card variant Snap Poker, 3D tables, and 888's slick and beautiful graphics, and this is certainly one of the more visually stunning online poker sites having opted for your preferred choice of view. The recently added forums are a welcome addition for the more vocal players. Here they can chat and debate with other users. The new software also features excellent multi-table action where up to 4 tables can be tiled at once. Considered in addition to a no-download version available for both Mac and Linux players and you begin to understand why 888Poker is thriving once again. So much so that they have also recently introduced 888Poker Mobile, for playing on the go. As this 888 Poker review goes on to explain, this platform has the power to be all things to all players. 888 Poker has committed itself over the years to total player satisfaction; this includes taking player safely very seriously. This serious approach to player safety has meant that 888 Poker has never suffered any major security breaches, which has also helped it become a shareholders dream. Looking at the security measures that 888 Poker stands by, it is licensed by the Great Britain Gambling Commission. This - to an extent - certifies that 888 Poker runs a secure and upstanding operation. 888 Poker also implements a secure token system, which invokes a two-step authentication process, ensuring that every user account remains secure. As far as fair play is concerned, 888 Poker makes use of a trusted Random Number Generator (RNG) system. Operational outside of live games, it guarantees total randomness in-play, with the system being submitted to countless rounds of auditing, testing, and results examination. As a greater number of users demand to play poker on the move on their smartphones or tablets, sites have adapted and migrated their content accordingly. Few have made the transition as well as 888 Poker, largely as it keeps things simple and sticks to the basics. The mobile app offers fluid access to 888's full suite of casino games including the fast-fold SNAP Poker, while also allowing for competing in multi-table tournaments. Other good features here include an easily navigable and smooth interface and the choice of avatar. It is also welcome to have the chat option allowing you to converse with other players. On the downside, the mobile poker app does lack some of the more advanced features that more experienced players might appreciate, such as the ability to take note of other players or even search for them. It is also currently impossible to review hand histories, but this is a small complaint about an otherwise excellent mobile poker app. 888 Poker has the power to pack quite the punch from the very first moment. This is because when you register a new 888 Poker account through CardsChat.com, you'll receive a 200% bonus of up to $1000, plus an extra $88 free bonus, no deposit needed. You really can&apos;t say fairer than that when it comes to getting setup at the tables. All you have to do to receive your first deposit bonus is register through any of our 888 Poker links, open your account, and make your first deposit. The first 25% of your bonus will be credited to your account as soon as you make your deposit and will then be released as you play at the tables. In order to receive the other 75%, you'll need to collect 14 competition points for every $1 in bonus money you make within your first 30 days. The remaining bonus money will then be paid to you in one lump sum. While new players get a 200% match on their first deposit - up to $1000 - it is not unlocked at once. While the bonus has indeed been activated, it is credited in $10 increments upon attainment of every 100-status points. For other game types, if you step over to the 888 casino or sports betting offerings, there are additional bonuses available there with different requirements. What holds 888 Poker back when it comes to bonuses and promotions is the loyalty program. It can only be described as moderate and operates purely on a points based model, which rewards players in cash for the reward points they earn. This is one area where 888 Poker could improve. Suggestions would be to offer free tournament entry, general free play, and exclusive 888 Poker merchandise in exchange for accumulated points. Under the current program, players earn 1 point for every $10 in rake they generate, with 100 points earning the player $1 in cash into their account. 888 Poker swings for the fences when it comes to games and for the most part it is able to hit it out of the park. Here&apos;s a quick breakdown of what makes up the 888 Poker game selection. Ring games offered at 888 Poker include all the standard poker games such as Texas Hold'em, Omaha, Omaha Hi-Lo, Seven-Card Stud and Seven-Card Stud Hi-Lo, with games ranging between No-Limit, Pot-Limit and Fixed-Limit. Player competition at the tables is generally considered to be loose and on the lower side of the skill level. This represents a good opportunity for more experienced players to make a potential killing by choosing to play at the site's weaker skilled tables. 888 Poker hasn&apos;t always been ahead of the curve when it comes Sit N Go play, but it&apos;s certainly making mass-scale improvements. Pretty much all poker variants have a Sit N Go option, with Omaha poker fans likely to get the biggest kick out of what&apos;s at hand. Looking at what&apos;s being promoted, the buy-ins for Omaha Sit N Go games start at just a $1, with multi-table tournaments growing up to $20 level. It&apos;s safe to say that Sit N Go lovers will have plenty to get stuck into at 888 Poker. Tournament players are spoilt for choice with an excellent selection of buy-ins, rebuys and heavy bounty games. With over 10,000 players online at peak times, 888 excels at tournies, offering different varieties of game, a recent introduction being their biggest regular tournie, The Whale, a deep stack which guarantees a prize pool of $200,000 every fourth Sunday, following a $530 buy-in. It's always worth checking here for regular promotions as a lot of the tournaments offered at 888 often apply directly to these. 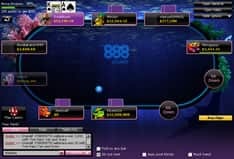 888 Poker is one of the biggest poker sites in the world right now, but its roots are relatively small-time, as it started out all the way back in 1997, long before the online poker boom gripped the world. It actually started out as a simple online casino, but by the time 2002 rolled around, it was clear that poker was in-demand, and the rebrand to Pacific Poker was put into effect. In spite of it losing the American market, 888 Poker has still seen an impressive amount of growth during the 2000s thus far. Through creative marketing strategies, new game innovations, and strong levels of player retention, 888 Poker has managed to maintain its spot at the very top of the online poker pile. Users at 888 Poker are offered a wide variety of methods with which to deposit or withdraw funds where your safety and security is paramount. Among the most popular and common options are PayPal, Visa, MasterCard, bank or wire transfer, and Bitcoin - available through Neteller. Your cash winnings are processed very quickly (3 business day average) and will be paid through the original method of deposit. In some cases this isn't possible in which case players can opt for a choice from an extensive list of alternatives including wire transfer. Through all these options, you&apos;re covered 24/7, even if the overall customer support experience here proves to be rather hit or miss. Conclusion - Should you sign up to 888 Poker? 888 Poker has already cemented its name in the history books, having been around in one form or another since 1997. While other online poker brands have wilted over the years, 888 Poker has managed to remain at the top of the heap, even in spite of its shortcomings. 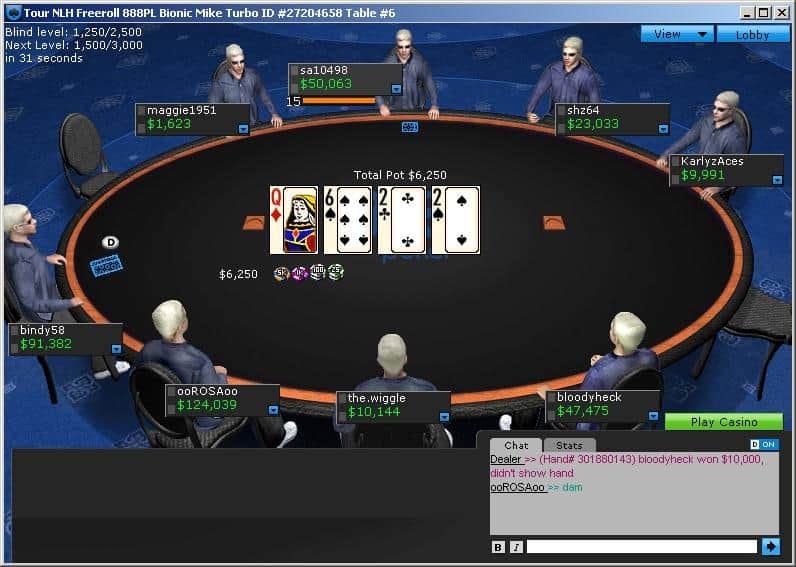 Overall, 888 Poker is a good option for players looking for easy action, loose competitors, and fast paced games, but may not be the best choice for players who put high value on an online poker room's loyalty scheme. Visit 888 Get Your $1000 + $88 Bonus! Video 2: The software and game selection are two important features of 888Poker. Video 3: The tables are well-organized and easy to navigate. Join 888 and get a 200% welcome bonus up to $1000 + $88 FREE!